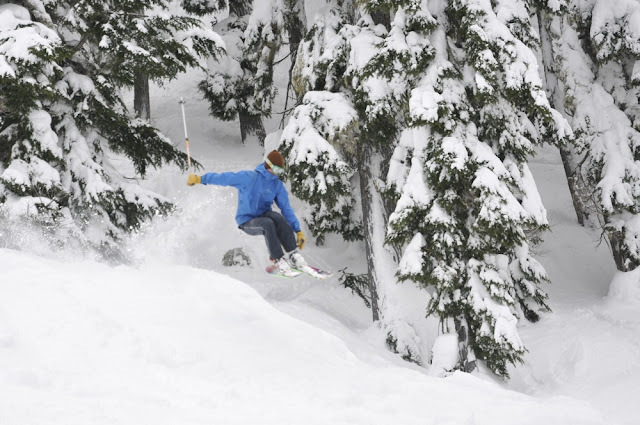 "The great snow machine in the sky keeps delivering. 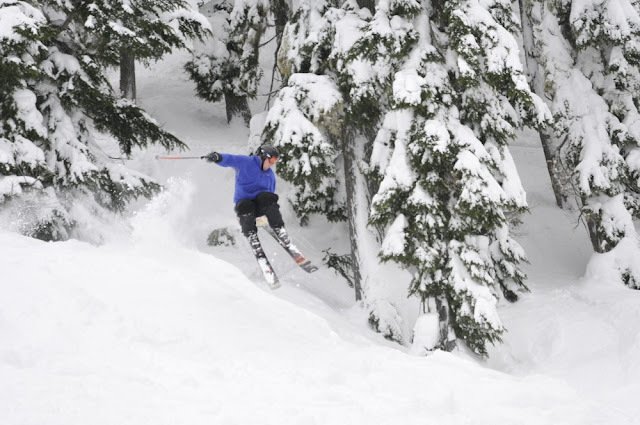 Stevens Pass, WA." 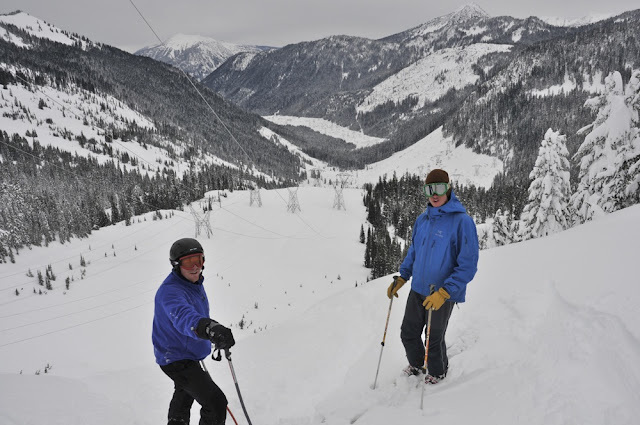 It didn't take much convincing for the Seattle crew to convince me that a trip into the mountains was the best way to spend a Thursday. The slopes were empty and the snow was falling. I was also more than pleased to be leaving my wheels behind for once. Give them dogs a rest! The game plan involved two days of skiing, which meant one night of camping in a snowy/closed campground and one evening killing time, getting dry, and scrounging grub in Skykomish. 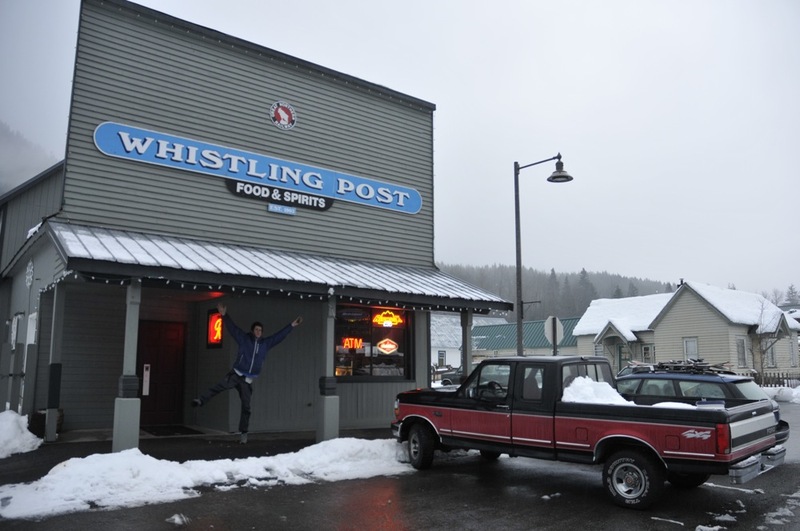 The Whistling Post is about the only stop in town and is a great watering hole. As for food... none of tried the $12 microwave dinner (that's exactly what it was described as) but the Cambell's chili was alright. Andrew was clearly stoked. 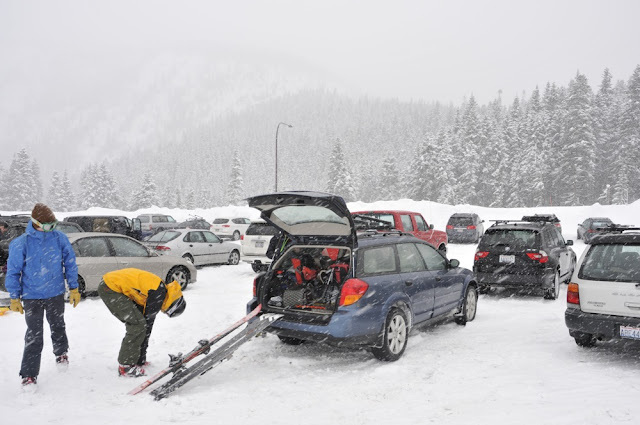 "Stevens Pass day two... 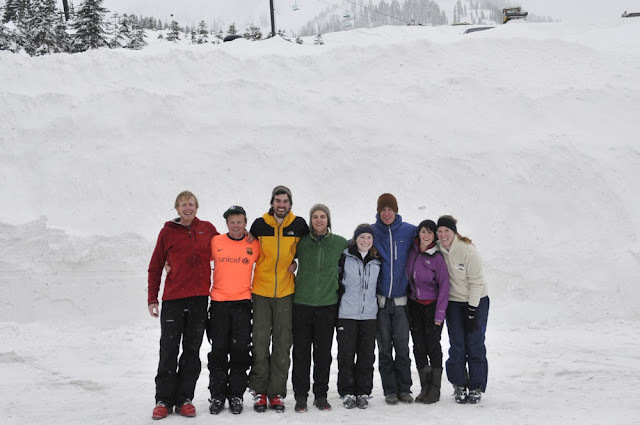 Skiing with a crazy crew of Camp Echo staff, past and present." Jake, Andrew, and I decided to put in a little hiking to check out the sweet power lines that run right through the middle of Stevens Pass. 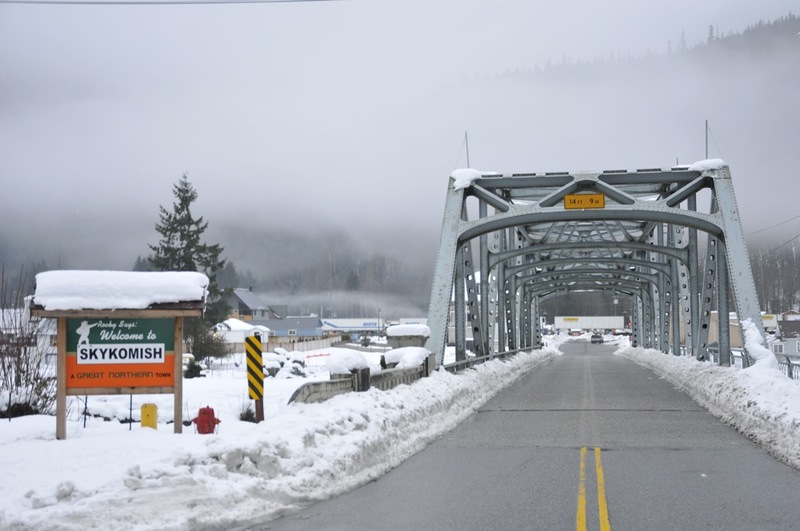 The gentle hum of electricity is nice, but the snow is better. That's how they teach 'em in Iowa. That's how they teach 'em in Illinois. The naturally appearing ski gear rainbow? A rare sight indeed, but a fine crew of lost midwesterners in front of a massive wall of snow: Me, Jake, Pat, Graham, Maureen, Andrew, Natalie, Christie. We were joined by even more members of the Echo family later that evening for one of the finest birthday celebrations I've had in my recent years. Thanks to one and all for making it a great day.